Bluetooth hands free telephone kit, Voice control system, Volvo on call, Adjustable steering wheel force, Drive mode selector, Front collision warning with full auto brake, Lane keep assist with driver alert control, Oncoming Lane Mitigation, Road Edge Detection, Speed limiter, Speed sensitive steering, 12.3' Active TFT crystal driver's instrument display, 9' Touch screen, Intelligent driver information system (IDIS), Service interval indicator, Trip computer, DAB Digital radio, Steering wheel mounted remote controls,This XC60 comes with some great spec! Including intellisafe pro, family pack, convenience pack and much more!Book your viewing today! This advert is for a Volvo XC60, click Volvo XC60 in South Croydon to see more cars like this in the local area. Want to search further afield? 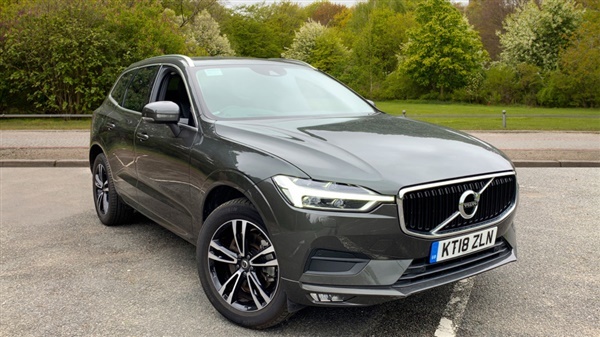 Click Volvo XC60 in Surrey to search for similar cars in the wider Surrey area.